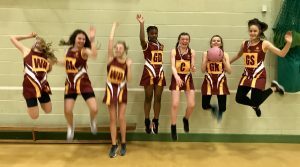 On Monday 18th of March my netball team and I competed at the North Tyneside Netball Competition at John Spence Community High School. We were all nervous but excited to be competing at the friendly competition with some of the schools near us. All of the other teams who turned up were really good and had great skills; as we moved up in the competition the matches started to get harder and harder. Luckily, with the amazing resilience of my team, we kept on fighting back. We had won all of our matches so far and then we were told we were in the final against John Spence. We couldn’t believe we had done so well and got so far in the competition. When we played against John Spence they were really fantastic so we knew that we had to give 100% to win the match. For a while it was neck and neck but we pulled through and won 3-1! We were really happy and excited and we definitely want to go to the competition again next year! 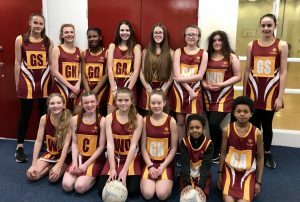 Thankyou to Mrs Johnson for coaching us, helping us to improve and for taking us to our matches.